Trim (Irish: Baile Átha Troim, meaning "town at the ford of elderflowers") is a town in County Meath, Ireland. 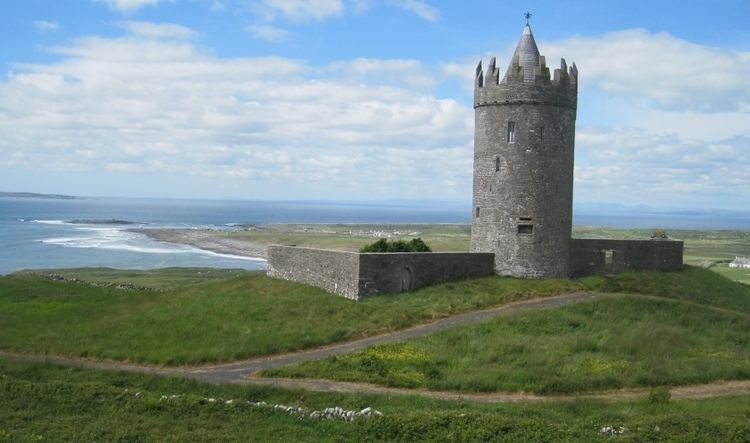 It is situated on the River Boyne and has a population of 8,268. 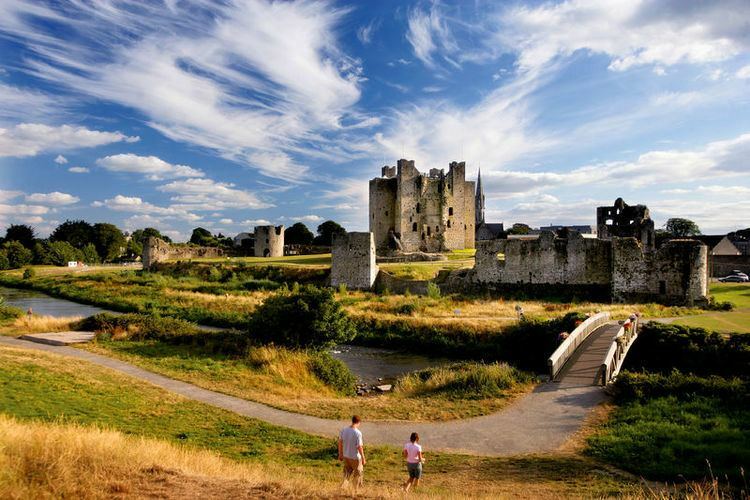 The town is noted for Trim Castle - the largest Cambro-Norman castle in Ireland. One of the two cathedrals of the United Dioceses of Meath and Kildare — St Patrick's cathedral — is located north of the river. Trim won the Irish Tidy Towns Competition in 1972, 1984, and 2014 and was the "joint" winner with Ballyconnell in 1974. As part of the Civil Service decentralization plan of the Irish government, Trim was chosen as the location of the headquarters for the state body known as the Office of Public Works. The movement of this state administration function to Trim resulted in Trim being the first location outside of Dublin to complete a satisfactory decentralization move. Trim has seen some growth in recent years with growth as a tourist and business centre. Trim Town Walls - Though not much remains of the original walls of Trim, the "Sheep Gate" stands near the 'yellow steeple' and the castle. The wall in this area is in ruins but it marks the original town boundary, the only intact part of the wall stands on Loman Street It is not marked by any signs but it starts around the front of St. Patrick's Anglican church and runs down to 'The Priory Pub'. Trim Circuit Courthouse - Built in the 19th century, the courthouse overlooks the main street of the town. Recently extended with an award winning design, the courthouse is located next to the main entrance of the castle. Brú Brewery- International award winning craft brewery based in the Trim, Co. Meath. Brewing the finest quality hand crafted beer using locally sourced ingredients. An annual classic car show takes place in Trim every July, Trim Veteran and Vintage Rally has been running since 1985. It started in a small yard on Loman Street with just 1 car. The founder, Norman Pratt, along with his hand picked committee were determined to expand the show, approached the Roundtree family who very kindly allowed the Porch Fields to be used on the day. The committee included secretary Ms Iris Wilson, PRO Frank Dempsey, Billy Wilson and George Douglas. It has grown each year since then and there are now in excess of 500 cars and motor cycles on show. Visitors to the show can also try their hand at archery with Athboy Archery Club. The archery has always been a big success at the fair. Bus Éireann operate two routes serving Trim. Route 111 from Athboy to Dublin operates hourly each way (more frequently at peak times), and connections to Granard and Cavan are available at Athboy. Route 190 from Trim to Laytown via Navan and Drogheda operates every two hours each way, less often at weekends. Royal Breffni Tours operate a route to Dundalk Institute of Technology and Streamline Coaches operate a route to Maynooth University.